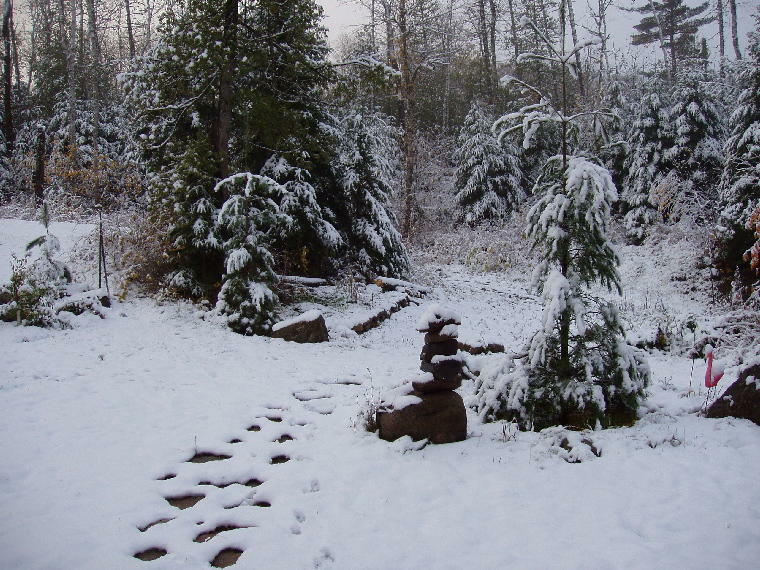 The Gunflint Trail Association's (GTA) annual meeting held at Old Northwoods Lodge, October 26, elected Shari Baker, from Gunflint Pines Resort to serve as President of the organization. 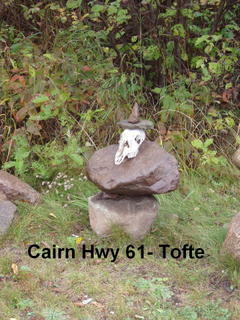 Other officers elected were Lee Kerfoot, Gunflint Resort, V.P and Sue Arendt, Tuscarora Lodge and Outfitters, secretary. Bud Darling, Way of the Wilderness will continue as Treasurer. 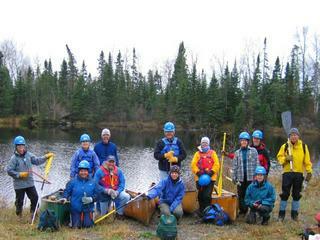 Sue Prom, Voyageur Canoe Outfitters as past President remains on the Board. Ted Young, Boundary Country Trekking was elected to a two year term on the Board, Rounding out the Board of Directors are returning Board members Deb Mark, Seagull Outfitters; Dave Beattie, Moosehorn B&B; Luana Brandt, Nor'Wester Lodge and Gale Quistadt, Old Northwoods. Three Board of Directors resigned prior to the election in protest over the direction of the organization- Mike Sherfy, Rockwood, Mike Pazlar, Bearskin Lodge, and Dan Baumann, Golden Eagle. Sherfy and Pazlar whose term expire with the elections automatic when off the Board. However, Baumann still has another year remaining of his term. His resignation is yet to be accepted by the Board. The GTA is composed of twenty five of the twenty-eight or so business on the Gunflint Trail. The organization was found in 1937. Friday, October 21, the sky was overcast and the forecast was for rain, twelve club member climb into four canoes and headed west down Tucker Lake. Near the west end of the lake the crew landed their canoes. 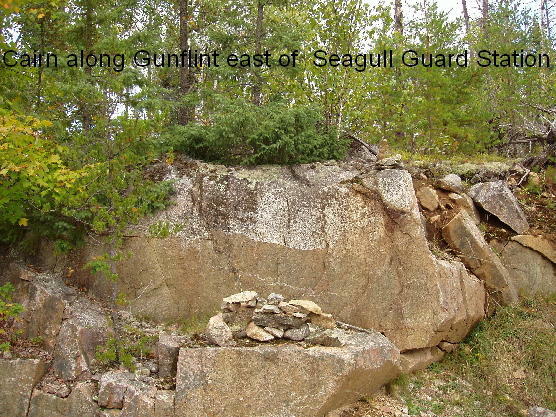 From here they "bushwacked" through the woods along an unmarked section line 3/4 mile climbing over trees and through the thick brush- their destination a remote interior section of the Banadad four miles west of the Midtrail junction. By noon the rain had started. On the trail the maintenance crew divided into two groups- the larger group, armed with loppers, nippers and pole saw headed east to cut the side brush and trees that was slowly chocking off the ski trail's right-away. The smaller group headed west - their assignment was to cut out any major trail brush or down trees one and one and half miles to the west up to an old beaver pond. The crews worked all day; the rain continued. By the days end the soaked crew had successfully widen one remote mile and opened another mile and one-half of the Banadad. Then it was "bushwhacking" back through the woods to the lake, paddling back down the lake to the canoe landing and return to their home base. The next day, Saturday, with the rain still coming down the crew's assignment was to widen the most heavily skied section of the Banadad from the eastern trailhead to the Lizz Lake Portage. Another wet day with another socking wet crew at days end but the job was completed. According to Ted Young, Banadad Trail Coordinator, "For those of you skiing the Banadad this winter- plan to give thanks for the over two hundred hard-wet hours of volunteer labor contributed this year by the North Stars Ski Touring Club. It was their labor that helped to make your ski along the trail possible. You might also think about joining the club or consider making a donation to their trail development fund." 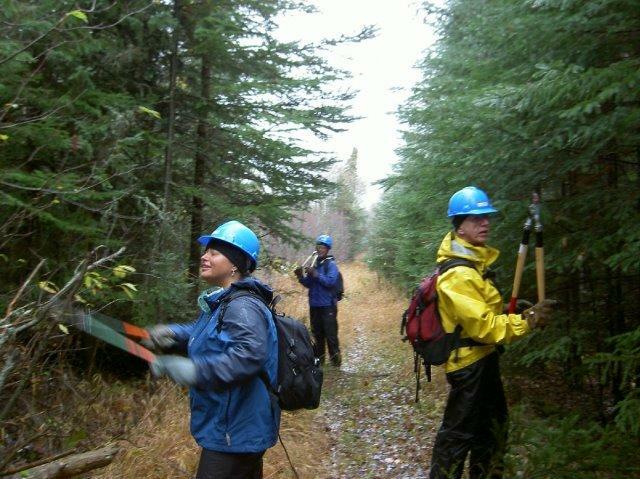 This weekend twelve volunteers from the Northstars Cross Country Ski Club arrived on the Gunflint Trail to work on clearing the summer's accumulation of brush and down trees along the Banadad Ski Trails. The group plans to work, weather permitting along the west section of the trail beginning four miles west of the Croft Yurt. 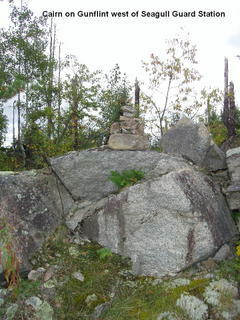 They will access this remote section by canoeing down Tucker Lake then follow a USFS survey line south to the Trail. The group plans to spend two full days working on the trail. Their nights will be at the Little Ollie Cabin and Tall Pines Yurt. Previously this fall a USFS Wilderness Ranger crew cleared a remote section of trail around Moose Kill on the eastern end of trail. The forest Service has also moved-in materials to rebuild and widen the Dawkins Creek bridge located one and one-half mile from the trail's western trailhead. Since the bridge is located in the BWCA the building materials had to be carried-in by hand. 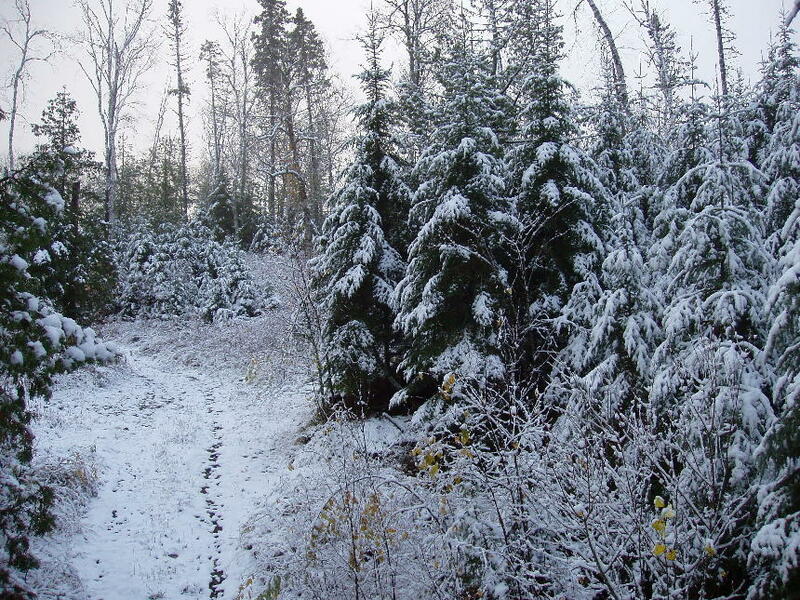 At the eastern end of the Banadad, Boundary Country Trekking has sent out crews to clear the down trees on the Lace Lace Trail and the Banadad from the eastern trailhead to the Old Winchell Lake fire trail- a distance of about 3 miles. 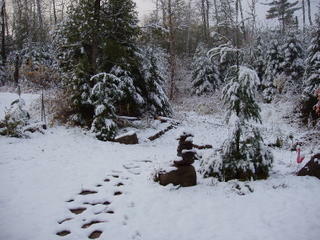 This fall's first snow arrived- from one to two inches was recorded throughout the Gunflint Trail on October 19. 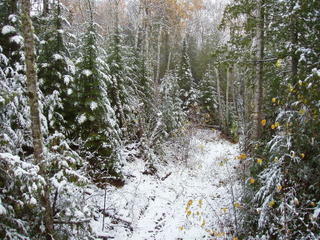 While by the next day most of the snow has melted, there are a few scattered patches left in the woods. The snow will return! 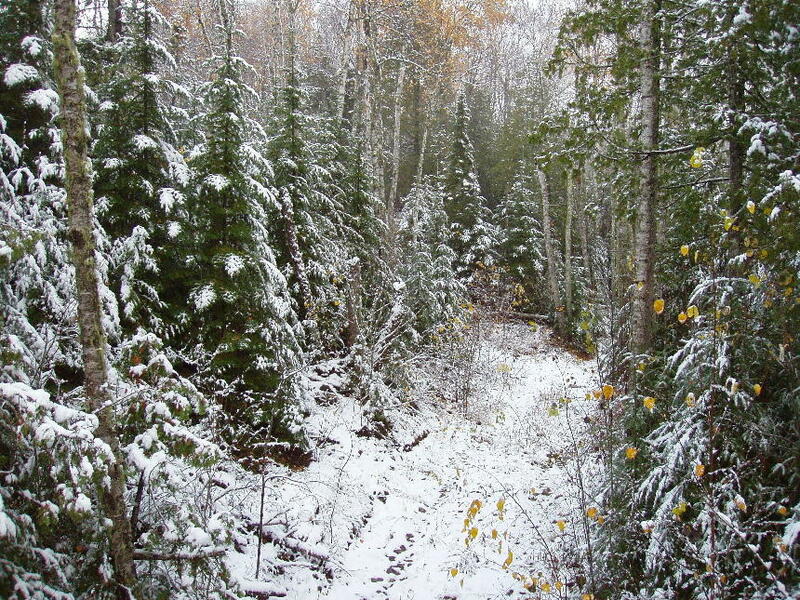 Annually the Gunflint Trail averages over one-hundred inches of snow per year. During the winter, while the snow may settle a bit it rarely melts. Last winter by early March there was four feet of snow recorded on the ground at the Poplar Creek Guesthouse B&B's snow measuring pole. The Gunflint Museum project moved a step closer as the Cook County Board lends it's support- See full story in the Cook County New Herald, October 14, 2005 by Bill Neil. 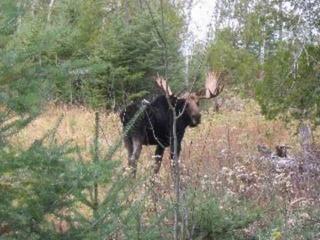 Moose is standing fifty yards from the front door of Poplar Creek Guesthouse B&B. 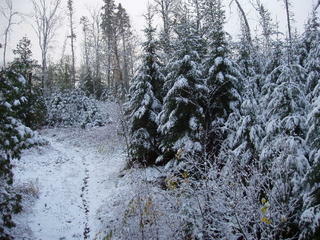 Photo taken by Stan Poole of Red Pine Realty on October21, 2003 . 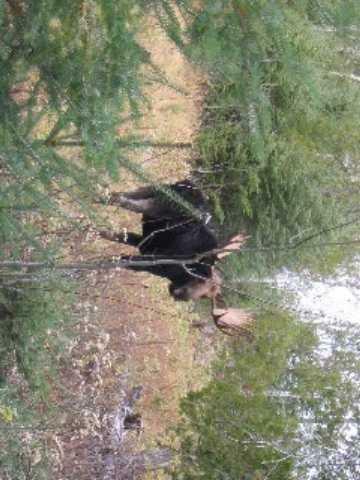 The Following poem is by a recent guest at the Poplar Creek B&B and her encounter with a moose on the Gunflint. surrounded by new growth and a few lucky survivors. of her place in this wild country. gracefulness of a ballerina dancing on jagged rock. and I am left with a keen sense of awe. 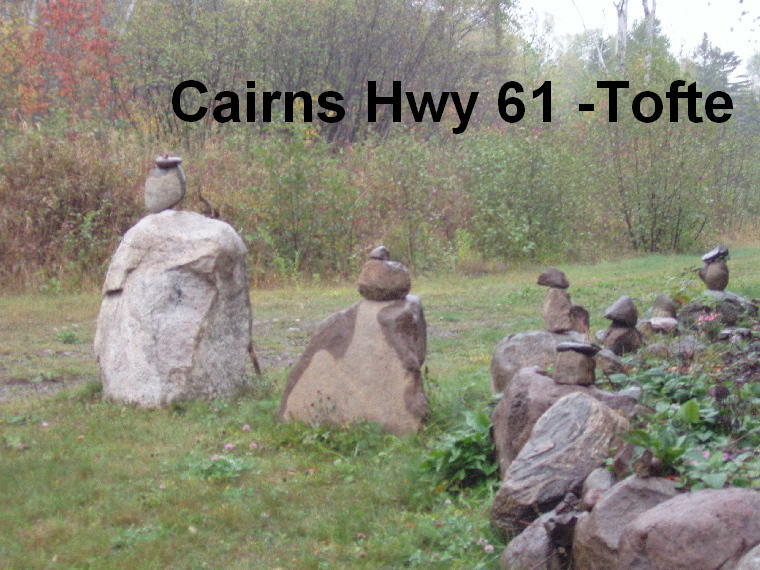 More Cairns- The first two pictures are of a interesting grouping of cairns located on Highway 61 across from the Best Western Motel in Tofte. They were placed there by the owner of the property to discourage people from parking their vehicles on his property. For more info on Cairns go to Cairns along the Trail. Remaining photos of cairns located on Gunflint Trail near the USFS Seagull Guard Station.